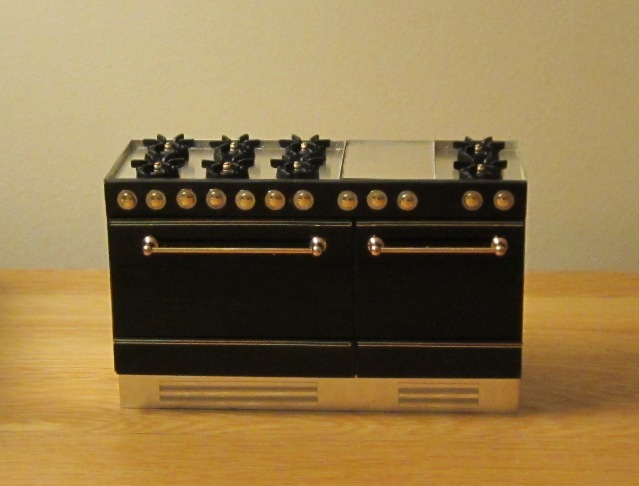 New from ELF, a stunning range cooker with two large ovens, drawers, EIGHT hob burners and a gridde. 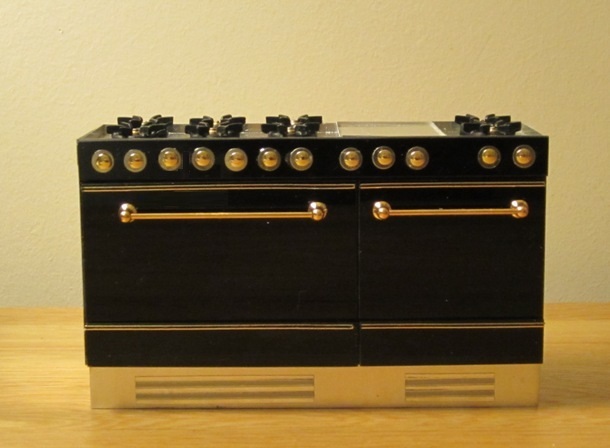 This version is in black with steel sides, cook top (burners in "brass" and black) and base, and handles and trim in gold. Measures 5"(12.5cm) wide, 2" (5cms) deep and is 3" (7.5cms) tall, compatible with ELF kitchens. Also available in white (see below) and other colours on request.